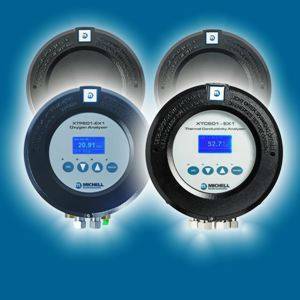 Michell Instruments has announced the release of four kits which will enable users to upgrade their existing general purpose XTP601 oxygen and XTC601 binary gas transmitters into fully-functioning analysers with the minimum of fuss and at a fraction of the cost of buying a new unit. Although the XTC and XTP601 series transmitters are both cost-effective and reliable, Michell discovered that some customers realised that they actually needed the added functionality of an analyser. The kits were developed to assist them to upgrade their units in the field and obtain the desired functionality. Whilst sharing the same specifications for range, accuracy and reliability as the transmitters, the thermo-paramagnetic XTP and binary gas XTC analysers incorporate a human machine interface (HMI), which allows users to view, interrogate, change settings and calibrate the unit in-situ. This is all available via the display and “through the glass” capacitance buttons on the front of the unit making operation and interrogation of the units easy to carry out. The upgrade kits are available for the general purpose (non-hazardous area) versions of the transmitters. The kits contain everything that is needed for a properly trained and competent technician to convert the transmitter easily in less than half an hour and without the need for specialist tools.